Exclusive! 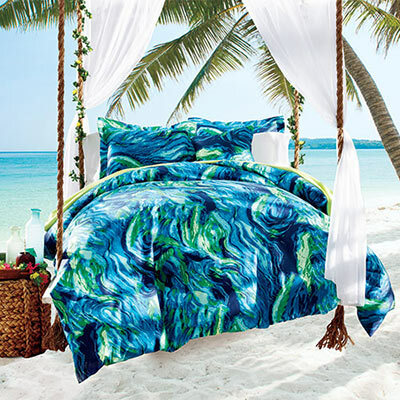 Escape to the Islands with our Tahitian Splash Duvet Set & Accessory! The polyester microfibre is super-soft and easy-care. Button closure. Machine wash. Imported.